The idea for todays posts and giveaways are a way a mom can save some money. Before I was pregnant with my son I had no clue about coupons and the vast world that exists around them. That all changed once I found out I was having a baby. My firsts thoughts were of course joy followed by oh my this is going be expensive lol. That is the point where my saving money adventure began. I found a few blogs that were ok kinda full of down load this and that and I am not really a downloader too much. I did however find 3 blogs I really used and helped me save me a lot of money. The only draw back I find from coupon and deals is the gas it costs to go round them all up. But if its a place I have planned to go to I definitely will look before I head out shopping. I find online shopping deals to work best for me since it doesn't involve driving. I wanted to share these sites with you so you can save a little money if the deal is near you. I do not however recommend trying to take part in them all. I would often get coupon anxiety at the thought of I wanted to take part of all the deals but there wasn't enough time, money or gas. So just have some fun with a few deals and relax and enjoy. I would love for you to share a site you know about too so we can all be happy and saving money together. 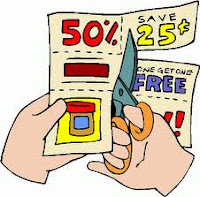 Please share great coupon sites you know of in the comments. If you like our blog please feel free to follow us on Google Friends Connect and leave us a comment and a link we would love to check out your blog back. I just found your blog the other day and love it. One of my favorite coupon blogs is http://hip2save.com. She has giveaways, lets you know about samples and new coupons, and also shows good deals for CVS, Walgreens, and Target (which are all within less than a mile from my house). I do all my grocery shopping at Publix so I also love http://www.iheartpublix.com blog. Thanks for joining the TGIF blog hop. I'm now following you back! Please join us again next friday for TGIF to gain some more blogging friends! Thank you for sharing these sites. The only place we have control over our budget is with grocery shopping so I am always trying to find places to help me save. Hi, thanks for following from Weekend Hoppers (family approve). Just wanted to come check out your blog. Im your newest follower. And im SO glad I found your blog, I am a wannabe couponer and just barely used my first coupon the other day! I know, im behind but Im really hoping to get the hang of it and save some money! I found you through the “I Love My Online Friends Monday Hop!”. Great tips here, it's even important for us Dad's to find the deals too...You've got a new follower! When I first got into couponing, I had the same problem, I didn't want to drive all over creation to get the good deals. I found that couponmom.com is really really great for narrowing down my coupon search and helps me find the deals at the stores I will be visiting. I can search for coupons by store or by coupon type. I highly recommend them. The other site I like is couponbuzz.com. They are great for online sales and coupon codes for just about every store.